It’s been a busy month for Danbro but we’ve settled nicely into Jubilee House and loving it! It’s a fabulous location with wonderful views. 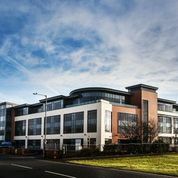 It was a big move from our four units in Blackpool to one Head Office in Lytham but everything went well and it was business as usual right from the off! Our new address is Jubilee House, East Beach, Lytham FY8 5FT. This entry was posted in News and tagged Danbro, jubilee house, Lytham by Helen Broughton. Bookmark the permalink.